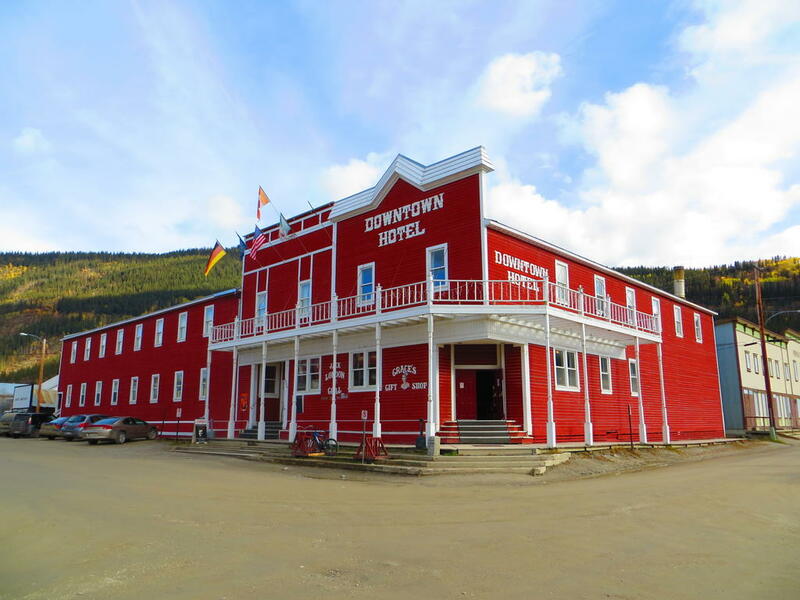 With a lineage dating back to the Gold Rush, the Downtown Hotel is located in the heart of Dawson City, combining turn-of-the century atmosphere with modern comfort. Be sure to try the world famous “Sourtoe Cocktail” in the Sourdough Saloon! The Downtown Hotel is a Canada’s Best Value Inn hotel, and is only a block away from the Palace Grand Theatre, Diamond Tooth Gerties, the Yukon River and other historic sites.